Ex-Minister Janardhan Reddy Took Wedding Invites To The Next Level & We Were Stumped! Let’s face it. As the new BFF of every bride and bide-to-be, we come across hundreds of inspirational things everyday! From wedding decor to mehendi designs – we see it all and bring it all to you! However, we recently came across a wedding invite which totally stumped us! Former Karnataka Minister Gali Janardhan Reddy recently announced his daughter’s wedding via a unique wedding card (if we may be so bold so as to call it that!) and it left it us .... what’s the word for it?.. Oh yes, speechless. Don’t believe us? Check it out! 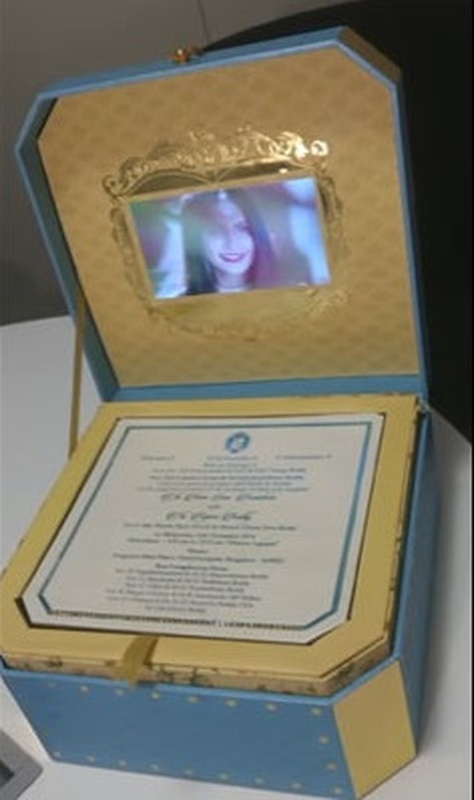 While the formal paper invite was part of the invite, what blew us away was the box which contained a mini LCD screen (yes! A mini LCD screen. You read it right!) with a special song composed for the occasion! The box (yes, a freaking box!) opens to reveal the printed invite and the lid contains the mini LCD where the ex-minister and his family invite their guests to attend the wedding while moving to the Atithi Devo Bhavo song! There are elaborate sets and the soon to be wed couple is seen exchanging glances and dancing. The bride-to-be twirls her gorgeous dresses while the groom-to-be walks amidst white horses! Nothing less than Bollywood we say! If you want to give them a run for their money, check out the trending wedding invites of 2016 here. Also check our tips & ideas on wedding invites for more inspiration!